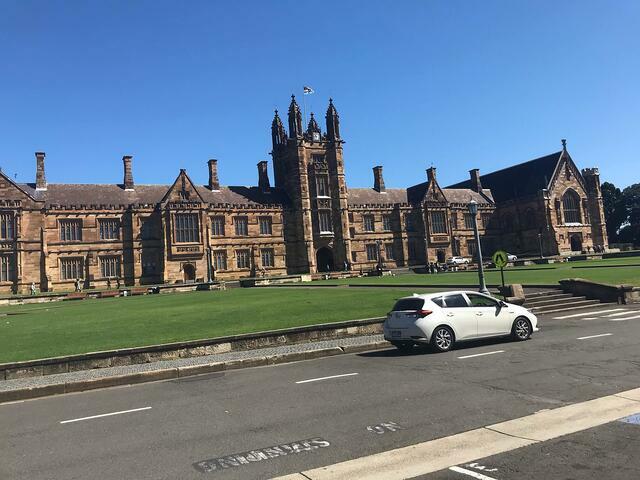 In this week's post, Lorenzo asks fellow student Martyn about interning abroad in Sydney, developing professional skills internationally, and how this experience can serve as a gateway to reach your career goals. Martyn also shares advice on how to keep an open mind and get the most out of your international hands-on experience. 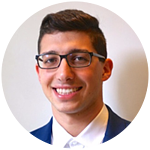 Meet Martyn, a senior student majoring in finance and marketing at the University of Pittsburgh in Pennsylvania. He is originally from New Jersey and wants to pursue a career in the entertainment/movie industry in Los Angeles. He also blogs for CAPA from Sydney. Today's Q&A is centered on the topic of interning abroad and gaining international experience. 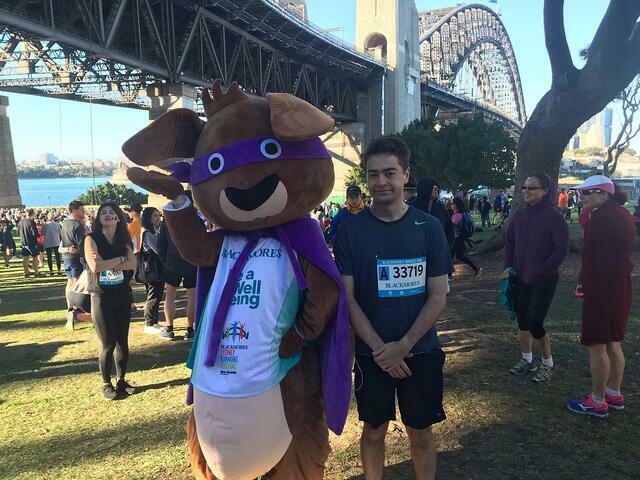 Lorenzo Corazzin: How did you decide to come to Sydney? Martyn Megaloudis: A lot of the required credits left for my major were international, so I thought it would make sense to take them abroad. This was my first real opportunity to travel outside the country, and through CAPA it was easier because they set up housing and activities. Strangely, a semester in Sydney costs less than one in Pittsburgh. I also know that only 6% of college students had international internship experience and that can set me apart from other job applicants. 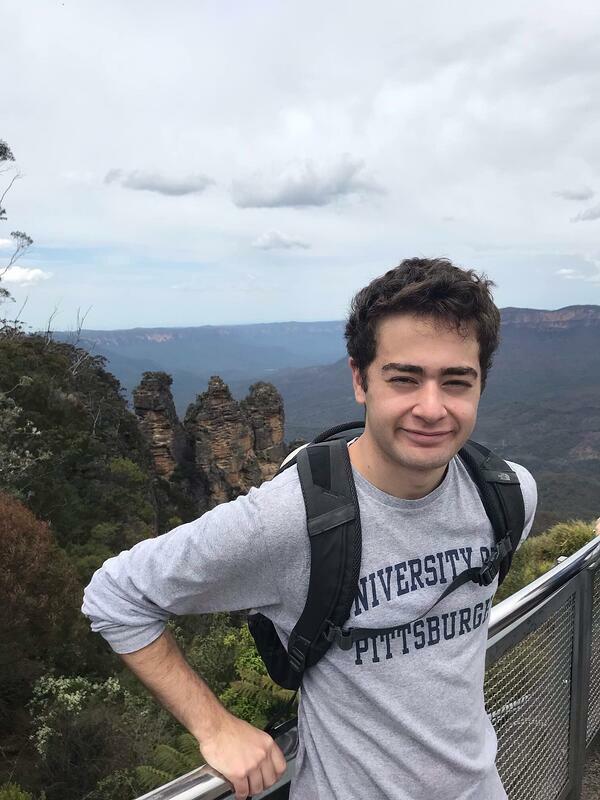 Martyn Megaloudis, a senior from the University of Pittsburgh, is studying and interning abroad in Sydney this semester. LC: What were your expectations coming in? MM: Before coming here, I had never traveled outside the East Coast and I wanted to have some new experience. I didn’t do much research on Sydney just to limit expectations, so that once I was here I would be more surprised about what I found. I already knew that it was going to be different, especially in how the people interacted and the culture, so I kept my mind open. LC: What is your internship about? MM: I intern at Unbridled pty.ltd. with my manager who is a business consultant and motivational speaker—similar to what Tony Robbins does. She helps businesses improve motivation and productivity, but also does person-to-person consulting. I was her only intern and colleague, so I did most of the marketing stuff. I prepared a social media plan, set up email automation, website automation, conducted content research, and just did anything marketing that was coming through my hands. She had an event every month for customers and I would go, film the event and edit it for social media, or record interviews and transcribe them and put chunks of video on LinkedIn. LC: Do you feel that this internship helped you in your career? MM: Yes, especially at this point in my career. Marketing jobs are very tough nowadays and ask for a lot of requirements. This was the first heavy video editing activity I did, and I also improved my website automation skills. It definitely helped me cover marketing tasks I hadn’t done somewhere else, and it will be useful in the next job interview or application. 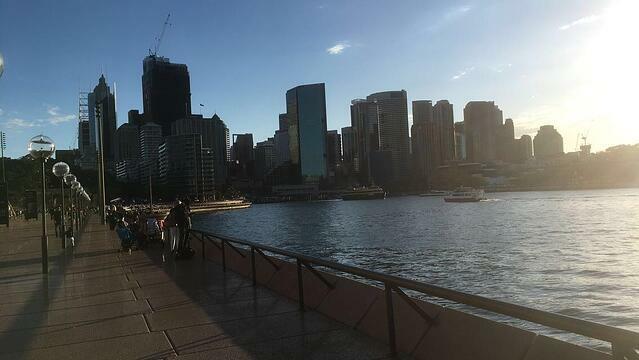 The skyline of Sydney by the water. LC: What are your career goals? MM: Short term, first job out of college, it would be probably a marketing coordinator for an entertainment or production company. Don’t know yet if data or creative side, but I want to be in a production/film studio and help the product get across. That's the kind of job everybody gets to start off, obviously then I would like to proceed on in the industry. Long term, 10-15 years down the line, I would love to work as a marketing director for the international distribution of some movie or entertainment material. Especially after coming to Sydney, I expect marketing to become always more global, with data, and how easy it is to sell across borders; it seems like this is where it’s going. I want to affect the qualitative result of the product through quantitative analysis, so studying the data and understanding what people like. Maybe after I will retire and become a professor. After Martyn ran the Blackmores Bridge 10K. LC: What would your advice be for somebody thinking about interning in Sydney? MM: I would say if you do end up interning here to try and get the most out of it, even if you may not have that much to do. It’s such a unique opportunity that if you’re not soaking knowledge, you’re wasting your time. You’ll get the most if you just try. Internships are structured to provide experience but you decide what you like and want to do, and that’s what you get out of it. Sometimes you have to make your supervisor understand it and try to stay relevant, but it’s not too hard to do. Just put yourself out there and something will happen. Lorenzo Corazzin is an official CAPA blogger for fall 2018, sharing his story in weekly posts on CAPA World. A Global Studies major at the Arizona State University, he is studying abroad in Sydney this semester. Lorenzo's journey continues every Friday so stay tuned.